The old hotel-turned-nursing-home next door has stood empty for years. 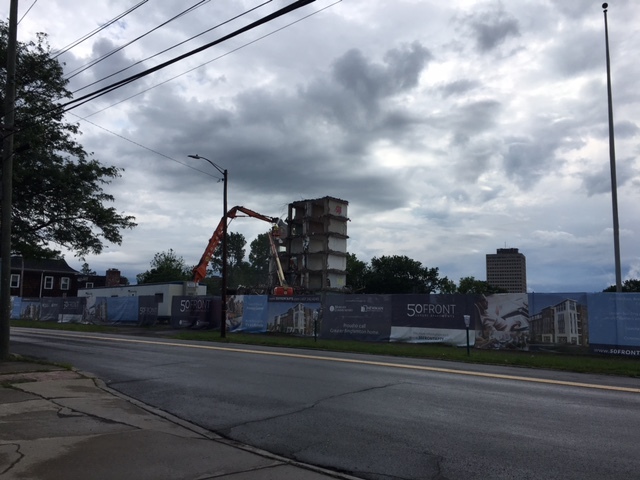 It is finally being taken down to make room for a luxury apartment building. Not being well-versed in construction and de-construction, I assumed that this would happen in one fell swoop with a wrecking ball or some explosives. While I had looked forward to witnessing that, I will admit that watching them systematically take the building apart has been mesmerizing. There is something about taking down walls that are not serving a purpose any longer that has stirred my soul. It is a continuation of a theme that has been playing in the background of my life the last few month. 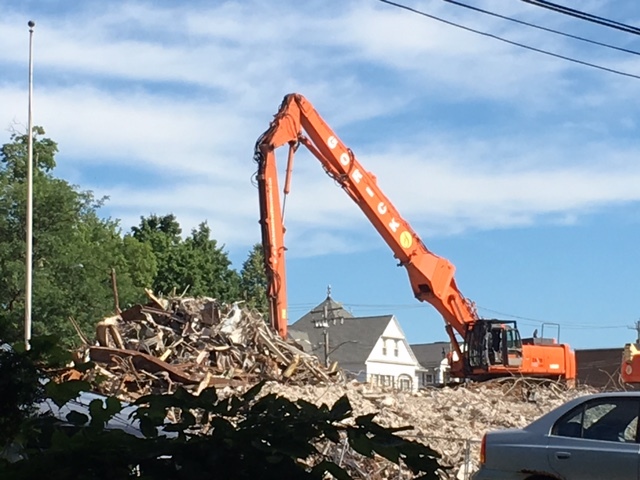 What does the demolition of a building I have never gone into have to do with a Jewel song that I mentioned last week? Apparently, this is something the universe wants me to hear because it keeps dropping this idea in my path in one form or another. First a song, now the deconstruction of a building that is no longer in use. Two examples of the same theme. 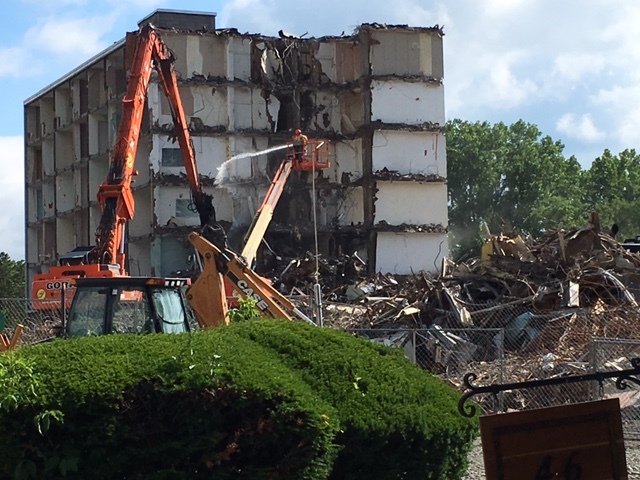 As the building continued to come down, I contemplated things in my life that were no longer serving me. Yes, there is always clutter in the house – more books than I need, kitchen gadgets I should donate, clothes I no longer wear. And there is that urge to roll up my sleeves and start clearing out the rooms. But let’s think about this. What is there about you that has defined who you are or what you do in your daily life that you want to change? Do you wish you could be more outgoing? Do you want to read more? Do you hate the way everyone thinks of you as the boss, the shy one, the unathletic one? What have you allowed to define you? And are you content with it? When it is all said and done, you are the only one who can decide who you are and who you want to be. If you are displeased with some aspect of your life or personality, take steps to remedy it, to change it, to bring something new into being. I do believe that through practice and intention, we can change our outlook, how we portray ourselves, and how we live our lives. We can dismantle our image, our personal boundaries, and the obstacles we have placed in our own path – brick by brick. We can decide to no longer allow things that do not serve us to be constants in our lives. What do you want to do differently moving forward?